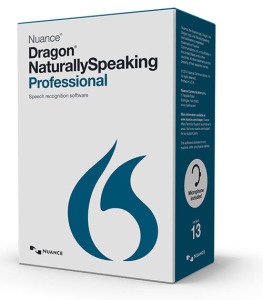 A new version of Dragon NaturallySpeaking software was released this week by Nuance. Dragon NaturallySpeaking Professional 13 is even more accurate, faster than ever, and easier than ever to setup. Dragon 13 automatically detects audio devices, has a completely redesigned and enhanced user interface, and supports microphones built into many laptops. There is also new application support for WordPerfect® X7 and Open Office® Writer 4.1. Get more information on what’s new HERE. You can purchase Dragon NaturallySpeaking Professional 13 at the Tekton Online Store. This entry was posted in Uncategorized and tagged Dragon, more accurate, NaturallySpeaking, Nuance, Open Office, redesigned user interface, Tekton Online Store, WordPerfect. Bookmark the permalink.